Bumbleride is the wonderful result of the desperate product search by Matt & Emily Reichardt in San Diego, US. Both keen surfers and outdoor enthusiasts, they could not find a stroller that could properly tackle both the beach and the rough tracks as well as being light and smart enough for the city. 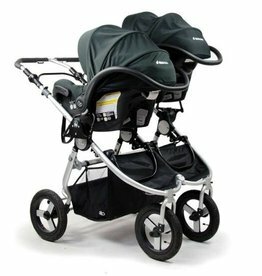 They therefore set about designing their ideal all-terrain stroller using the best production practices to reduce the environmental impact.